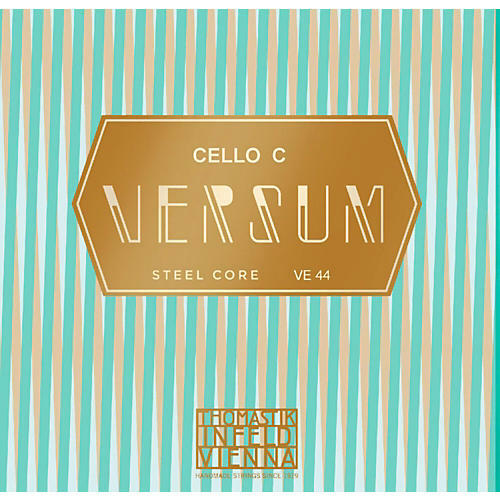 Versum Cello strings provide you well-balanced inspiration to play. They combine an elegant balance of tonal warmth and sweetness on the top with a equally warm and velvety/round bottom while maintaining a precise and focused sound. When you add in their immediate respond to the nuances of the bow and great dynamic range, you have an ideal set for principal and orchestral playing and optimal blending with quartets. Versum...strings you and your passion for music together. C STRING - spiral core, tungsten/chrome wound.